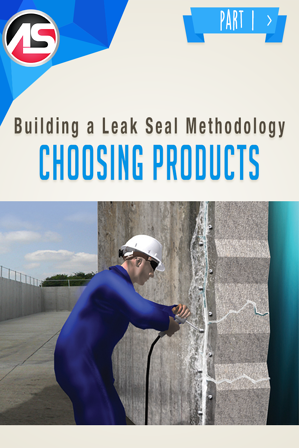 The most critical step of building a leak seal methodology is choosing the correct product. In our industry, there are products with varying degrees of flexibility, viscosity (thickness), expansion rate, type, and reaction time. If the wrong product is chosen, the best equipment in the world won’t provide a successful, long-lasting repair. Flexibility is very important in product choice as substrates that experience thermal expansion and contraction or dynamic loading causing movement, will require a flexible grade chemical grout (AP Seal 500, Spetec PUR F400) to remain sealed during movement. For curtain wall grouting or in joints and cracks that do not experience much movement, more rigid products (Spetec PUR H100, Spetec PUR HighFoamer, AP Fill 700) with higher expansion rates can get the job done. While flexible products do not offer the amount of compressive strength as their more rigid counterparts, the flexible functionality serves dynamic crack leak seal injection well. Hairline cracks and cold joints require relatively thin (low viscosity) materials to penetrate adequately. Acrylic products offer the thinnest options (Spetec AG100 and Spetec AG200), while most of the Alchemy-Spetec single part polyurethanes also offer thin enough material to penetrate most concrete cracks and joints (Spetec PUR H100 and Spetec PUR F400). A common mistake, however, is choosing a product that is too thick resulting in excessive pressures and blow-outs. A common warning sign during injection is when pressures are continuously high, while very little chemical grout travel is observed. Most single part, catalyzed, water-reactive polyurethane grouts are expansive in nature. The amount of expansion typically varies from approximately 5-40x original mixed volume. The amount of expansion is important in many applications as it will be a factor in the total amount of material used, overall cell structure, and capacity to cut-off active water leaks. Spetec PUR HighFoamer can achieve an expansion rate of 50x. This is particularly beneficial when cutting off high-volume leaks and/or when performing curtain grouting. Expansion can create a significant amount of pressure behind a structure, so it is always advised to consider this behavior when injecting into a completely confined substrate. Most leak seal chemical grouts are polyurethane-based, and hydrophilic or hydrophobic in type. Hydrophobic polyurethanes require water to initiate but are completely insensitive to moisture post-cure. These products are ideal for freeze/thaw and wet/dry cycles. Hydrophilic polyurethanes will expand and contract based on the amount of water in their environment. These products are ideal for applications in which there is constant water contact to keep them in their gel state. Hydrophobic polyurethanes include Spetec PUR H100, Spetec PUR F400, Spetec PUR F1000, Spetec PUR HighFoamer, and AP Fill 700. Hydrophilic polyurethanes include Spetec PUR GT350, AP Seal 500, and the acrylic grouts Spetec AG100 and Spetec AG200. Reaction time plays a crucial role in the overall injection process as it will determine how fast the product will cut off water and also how far the product will travel. Most hydrophobic polyurethanes offer a catalyst component that can be used to control this speed. Depending on severity of leak, and thickness of structure, the catalyst can be adjusted accordingly to ensure that the product reacts when and where it is designed. 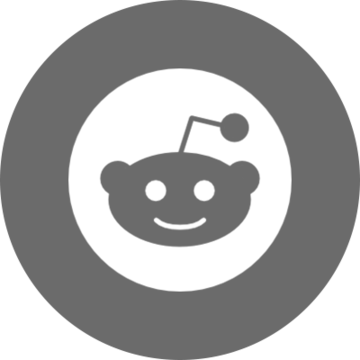 Most polyurethane hydrophilic grouts do not offer catalyst components. Acrylic hydrophilic reaction times can be adjusted by adjusting the sodium persulfate concentrations on the B-side of the mix. The TEA component on the A side can also be adjusted, but for user-friendliness and simplicity’s sake, it is recommended to only adjust the sodium persulfate component. Want more information on building a leak seal methodology?